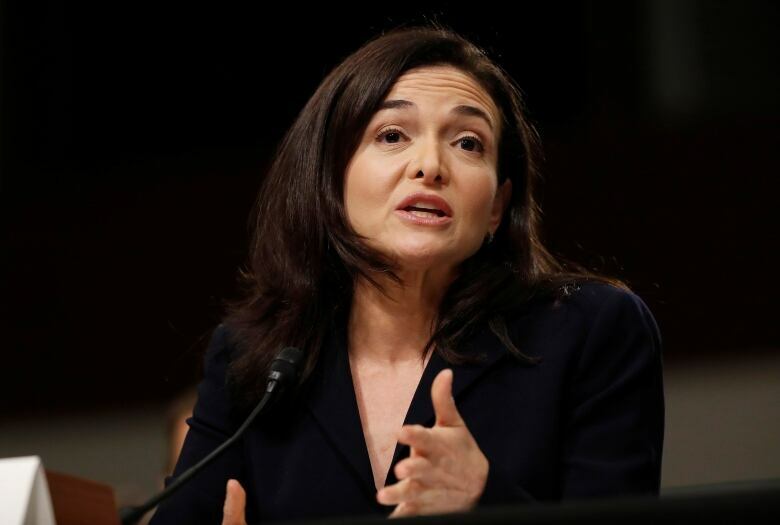 Documents show that Facebook's chief operating officer Sheryl Sandberg was negotiating this deal with the previous Conservative government, namely then-industry minister Christian Paradis. The documents were leaked to journalists in the United Kingom. CBC News has not independently verified the contents. They show a global lobbying operation carried out by Facebook targeting legislators around the world, including in countries like the U.K., United States, Canada, India and Brazil. In Canada's case, they threatened to withhold investment and job creation opportunities unless Canada adopted data policies that favoured Facebook. "They were trying to get Canada to give them what they called a letter of comfort which would take a Canadian data centre out of Canadian regulation," Duncan Campbell, a U.K.-based freelance investigative journalist who helped uncover the story, said. "So they said, you know, 'if you guys want our data centre you have to make special laws that we are uncovered by a normal Canadian privacy standards.'" The memos leaked to journalists detail what went on during lobbying efforts in Canada when the government expressed discomfort with the media giant's request. Marne Levine, Facebook's former vice-president of global public policy wrote in one memo, first reported by Computer Weekly and the Guardian, who have seen the documents: "Sheryl [Sandberg] took a firm approach and outlined that a decision on the datacentre was imminent. She emphasised that if we could not get comfort from the Canadian government on the jurisdiction issue we had other options." After this pressure, Paradis allegedly agreed to give Facebook a letter guaranteeing the independence of non-Canadian data by the end of that day. The documents also show Levine complaining to her colleagues about an unnamed minister's aide, and explaining how Facebook officials made their way to a government reception to "cut the awful staff person out of the way" and give Levine direct access to Paradis. The dates in question are unknown, but Paradis was a minister from 2007 to 2015. Paradis and the current government's Democratic Institutions Minister Karina Gould did not immediately respond to CBC News's requests for comment. Facebook rejected the notion they held the data centre over the government as leverage. "Before we commit to opening a data centre anywhere in the world, we want to make sure we fully understand the country's laws and privacy protections. This is not a threat to withhold investment, but part of our duty to protect people's data," a Facebook spokesperson said in an emailed statement. The spokesperson also confirmed the data centre in question was never built. The lobbyist registry shows no meetings formally reported between Facebook and federal cabinet ministers during the time Paradis was in the role. "It's a real insight, a real eye-opener into how they operate," Carole Cadwalladr, one of the authors of the Guardian article, told CBC News on Sunday. After the letter was promised to Facebook by the Canadian government, Cadwalladr said the documents show Facebook was still debating whether to put the data centre in Canada or Iowa. She says they don't know who leaked the documents, but they appear to have originated from a release under legal discovery rules from an ongoing U.S. court case against Facebook. Liberal MP Nathaniel Erskine-Smith said the revelation that Facebook tried to meddle with the government is "unsurprising." "There have been a number of interactions we've had as a parliamentary committee with Facebook in their early days. They were very clear that they did not want new privacy rules. They even intimated to us in a meeting in Washington when we were studying how some of these privacy rules in Canada ought to be improved." One media expert said it's time to take a closer look at companies like Facebook. "This should give us pause to how we address these companies now and how we push for the increased privacy reforms," Taylor Owen, Beaverbrook Chair in Media Ethics and Communication at McGill University, told CBC News. 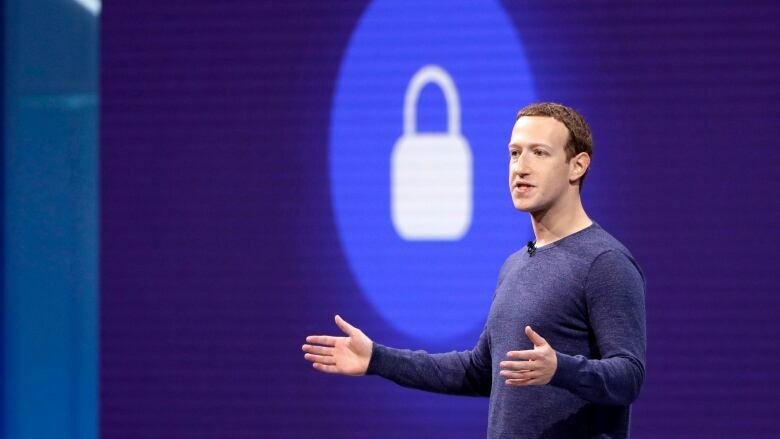 Facebook has come under fire for its privacy and data policies, especially after it was revealed last year that Cambridge Analytica had harvested the data of millions of users without their consent for political purposes.